The council approved a Memorandum of Understanding between the city and the Oak View Group to complete the renovation as early as October 2020. 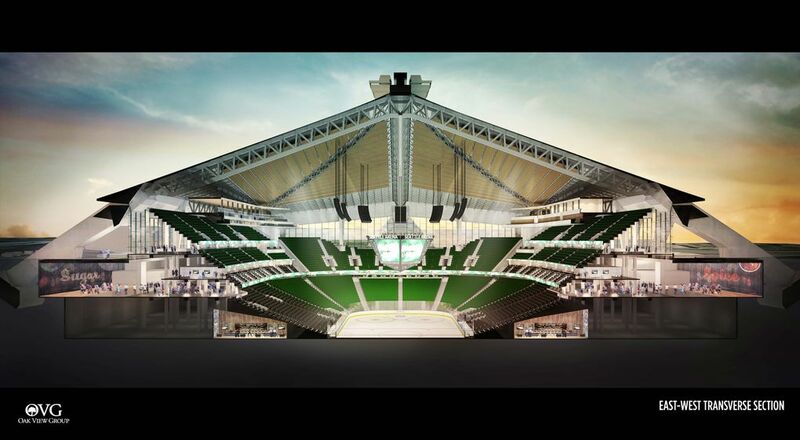 With the deal in place, the NHL is expected to make a franchise announcement regarding Seattle. 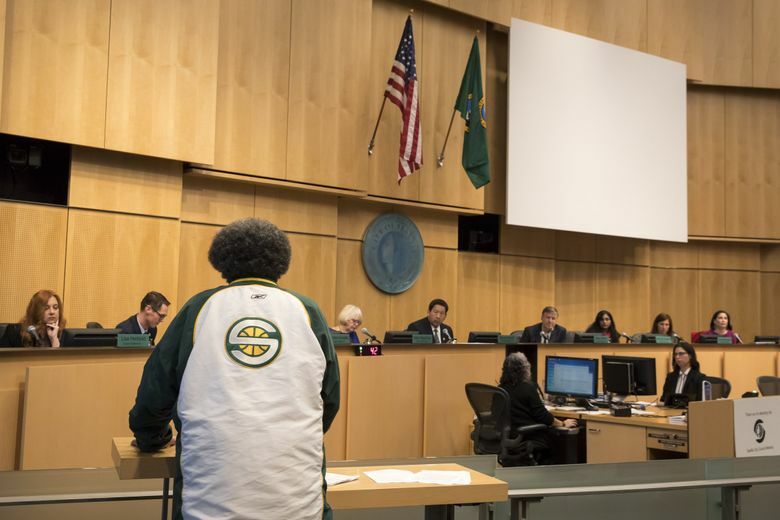 In swift, workmanlike fashion, the Seattle City Council on Monday approved a deal for a $600 million renovation of Key­Arena that could soon attract an NHL team and possibly an NBA franchise down the road. The council voted 7-1 to approve a Memorandum of Understanding (MOU) between the city and the Los Angeles-based Oak View Group (OVG). They hope to complete the renovation by October 2020, in time to launch an NHL team for the 2020-21 season. 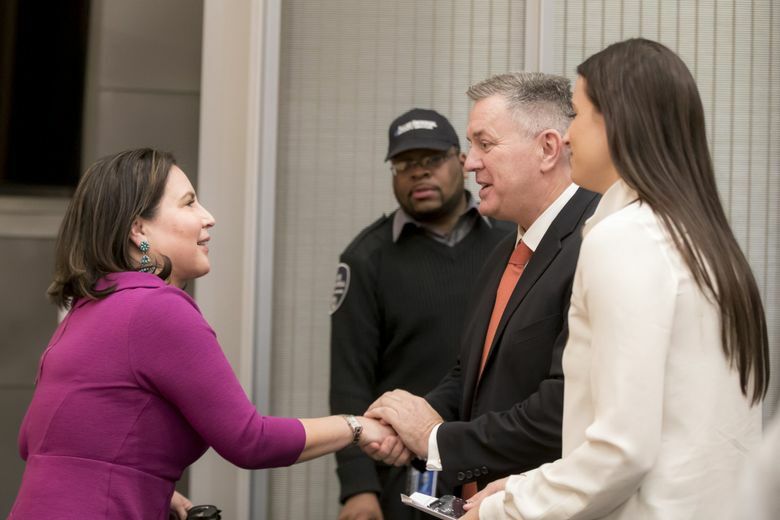 OVG co-founder Tim Leiweke was seated in the council chambers with his daughter, company Vice President Francesca Bodie, and his Seattle projects director, Lance Lopes. They congratulated one another when the vote passed. It was in stark contrast to a prior arena vote in May 2016, in which the council voted 5-4 to reject a plan for a new arena in Sodo pitched by entrepreneur Chris Hansen. Seattle Mayor Jenny Durkan must sign off on the new arena plan. Poll: Do you plan to attend the Warriors-Kings NBA exhibition at KeyArena? Hansen’s group released a statement after the vote saying it still believes its Sodo project is the best shot to bring the NBA back to Seattle. This year he revised his initial proposal, from one seeking up to $200 million in public bond funding, to an all-private proposal. In September he offered to renovate KeyArena into a downsized music venue for $100 million if his Sodo arena gets built. 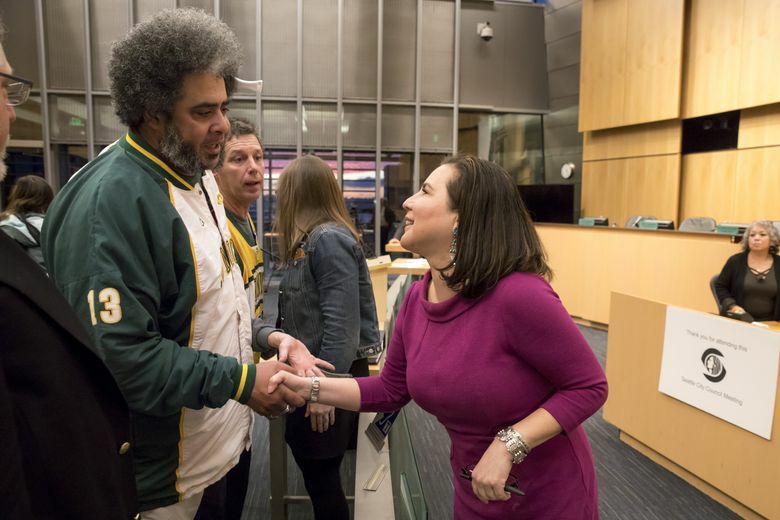 The city dismissed the offer as too late and said Hansen’s all-private Sodo plan must continue to go through bureaucratic channels pending a decision on whether to present it to the council. 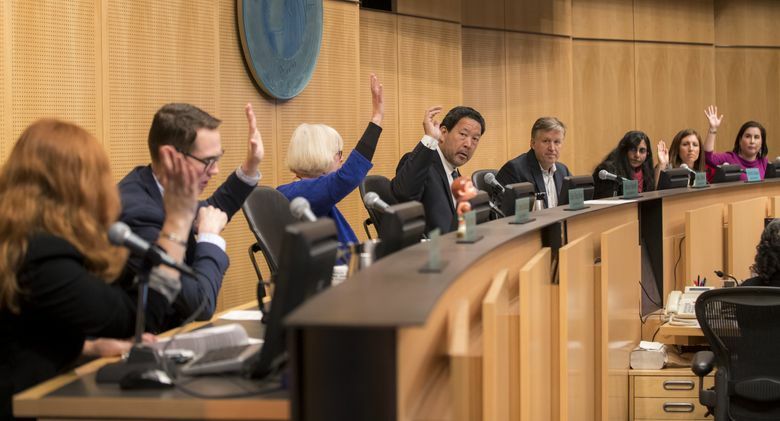 Mayor approval: Mayor Jenny Durkan must sign off on the new arena plan. She said in a statement that she hopes to sign it this week. 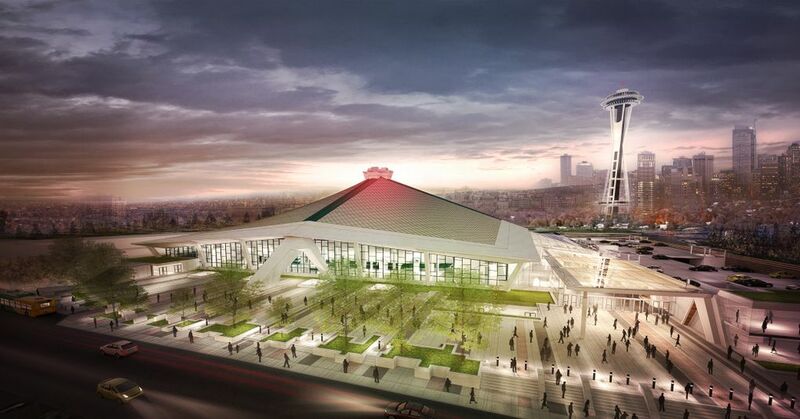 EIS: An environmental-impact study of the KeyArena plan is under way, and the city hopes to finish it by late next year so construction can begin. NHL announcement: The National Hockey League is expected to announce in July whether it will relocate a team or place an expansion team in Seattle. Project completion: The target date for completion of the renovation is October 2020, in time to launch an NHL team for the 2020-21 season. Hansen wants a second vote by the council on whether to sell him a part of Occidental Avenue South that runs through the site of his proposed arena. The Sodo group contends it needs the full property to better attract NBA investors, and it would not begin building until landing a team. 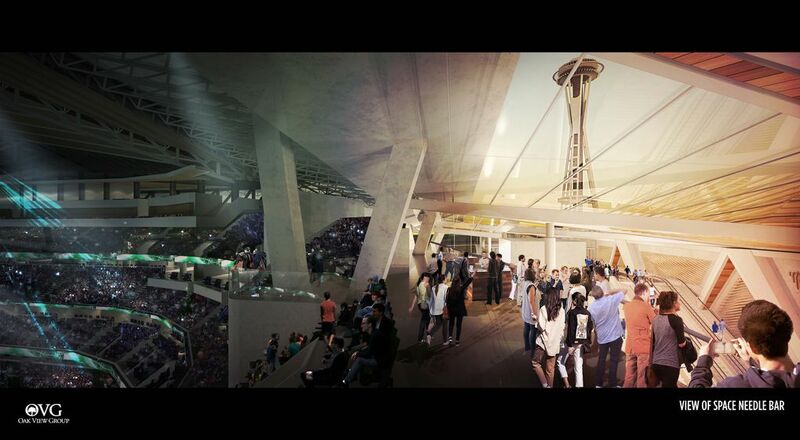 The OVG proposal does not require it to first acquire teams before the KeyArena renovation begins. Leiweke’s company also has pledged $40 million toward a city transportation fund to mitigate traffic and parking problems around the arena, plus an additional $20 million to local charities. The league is dealing with ongoing arena issues in Arizona and Calgary and would like to align its Western and Eastern conferences in what now is a 31-team league. 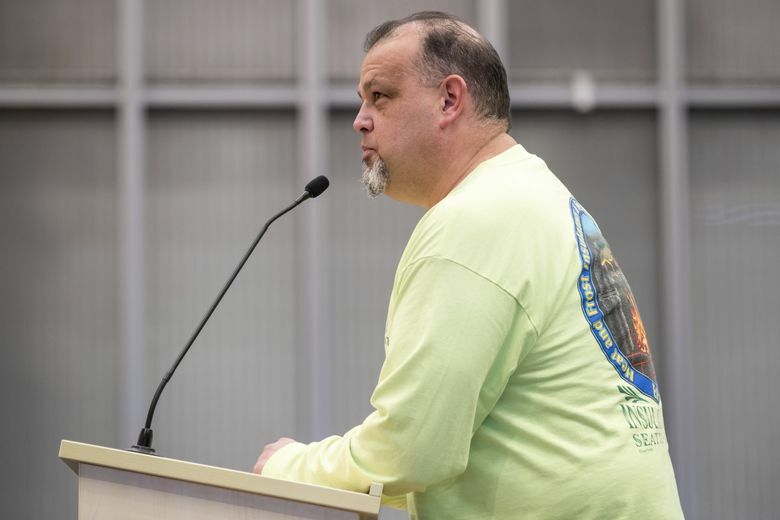 There was some dissent among council members before Monday’s vote, with Mike O’Brien the lone “no.” Member M. Lorena González was not in attendance. O’Brien earlier had proposed an amendment to the MOU eliminating a so-called exclusivity clause that prevents the city from giving benefits to any other group proposing an arena of more than 15,000 seats. The clause is perceived as a way to block the Sodo group from obtaining its needed part of Occidental Avenue South, because that could be construed as a benefit. O’Brien said he’s worried the clause “would tie our hands” in being able to negotiate with another arena group over the 39-year term of the lease. But Councilmember Debora Juarez disputed that, saying it is standard contract language that won’t prevent Hansen’s group from trying to acquire the street. Councilmember Kshama Sawant agreed with O’Brien that the clause is merely OVG’s way of trying to dictate to the city what it can do. “They want a guarantee of a monopoly of this sort of space,” she said. 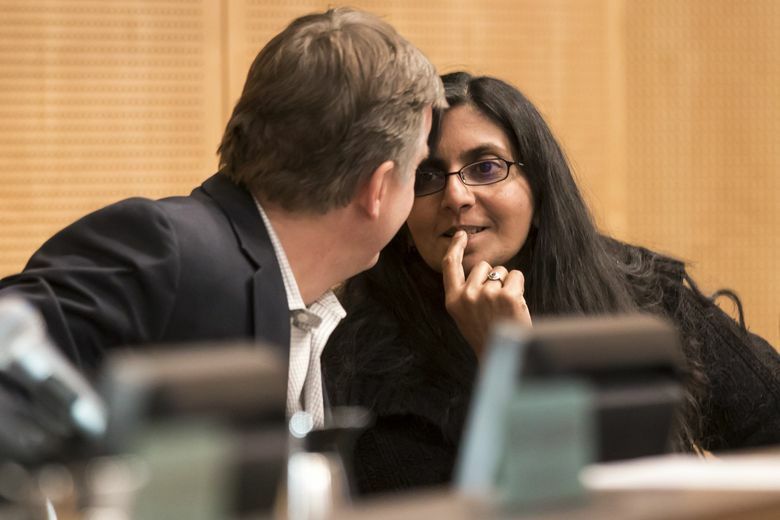 Sawant voted for the defeated motion, but she also voted “Yes’’ on approving the KeyArena deal, saying it’s not great but represents the best the city can hope to get. One person grinning after the vote was Brian Surratt, head of the city’s economic development office. Surratt had been appointed by then-Mayor Ed Murray to spearhead the request for proposals process to find a KeyArena renovation partner. Surratt recently had told Durkan’s camp he’d be leaving his city job to take a private-sector offer with a real-estate company. 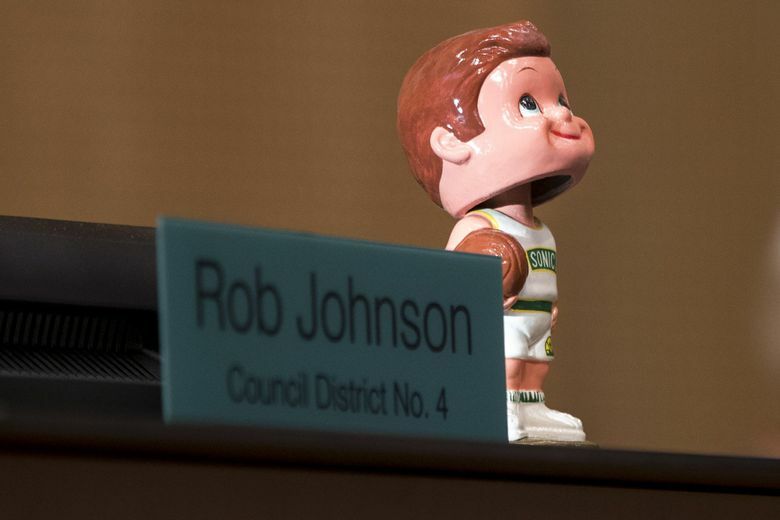 But he wanted to stay on through the conclusion of the council’s vote and did — announcing his resignation less than a half-hour after the final tally. “It’s been a long haul,” he said with a smile. Indeed it has been, for Seattle sports fans as well, hoping to land winter teams. But after Monday’s vote, a new ride on that front may just be getting started.